I hope you all are in the pink of your health! Daily exposure to dust, pollution, and sun can cause aggregation of dead skin cells and when dead skin blocks your pores a number of problems can occur, especially acne, and it damages your skin - making it dull and lifeless. Hence, one of the best things you can do for your skin is, use a good facial scrub. What I mean here by “good facial scrub” is that the one that matches your skin type and that suits your skin. Scrubbing helps to unclog the pores, to break up blackheads and whiteheads, and it deeply cleanses the skin. It also improves the circulation of the blood, promoting healthy skin. 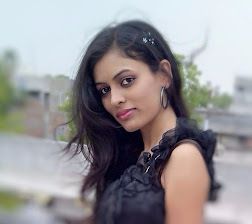 There are a number of scrubs that I have personally tried, used and liked. 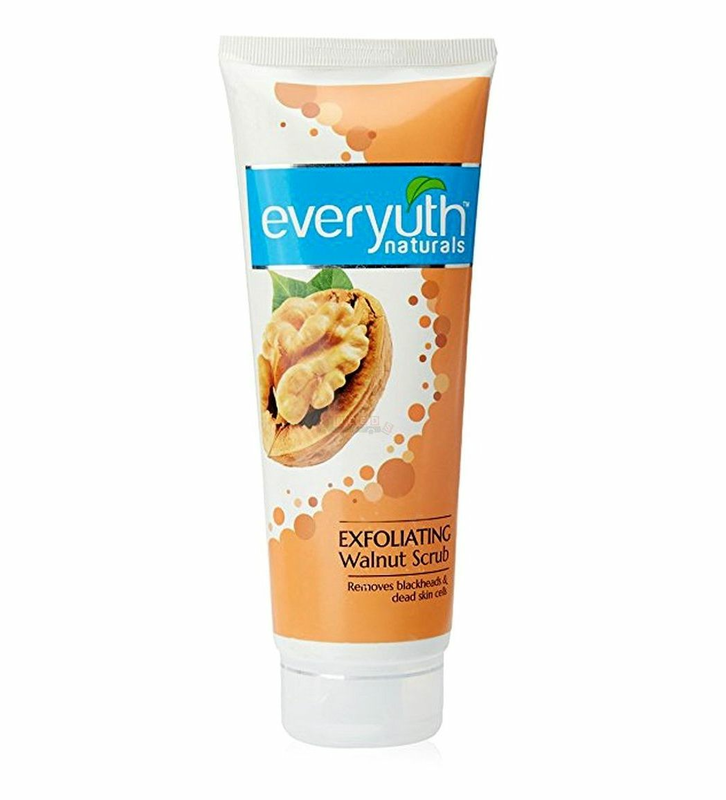 And today I am reviewing one of them named as “everyuth naturals - Exfoliating Walnut Scrub” which is my all-time favorite too and I am using this for years. Let’s begin with the review. New everyuth naturals Exfoliating Walnut Scrub has natural Walnut Shell Particles and Nano Multi-Vita. Natural Walnut Shell Particles exfoliate dead skin cells and skin impurities which may block pores and may cause blackheads and whiteheads. Nano Multi-Vita helps in nourishing and revitalizing the skin, leaving your skin clean, clear and beautiful. Natural and gentle for all skin types. The usage is simple. Wet your face. Squeeze out scrub and apply it generously over your face and massage gently in circular movements with the help of your fingers, focusing on areas such as nose and chin for removal of dead skin, for about 2-5 minutes. Avoid any contact with eye area. Rinse and pat dry. Key ingredients: Natural walnut shell particles, Apricot. New everyuth comes in easy to squeeze tube packaging which is white and slightly brown in color with a flip up cap that shuts snugly with a “tick” sound. The scrub has thick creamy texture and consistency with visible walnut shell particles and it is slightly beige in color. My personal opinion is that it is absolutely amazing. It’s been more or less 9 years now since I am using this exfoliating walnut scrub and I love this product. 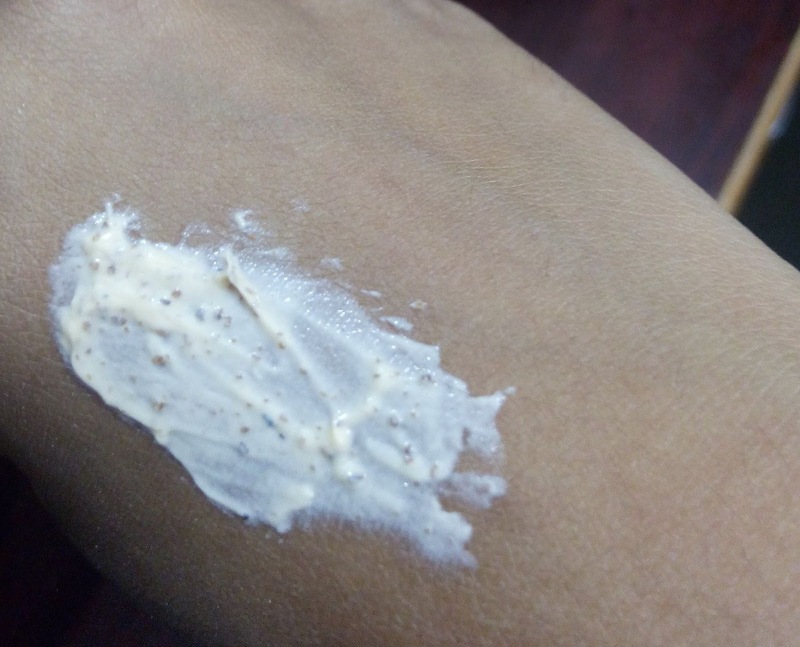 As aforementioned the scrub has thick creamy texture and consistency along with pleasant fragrance which remains for some time after washing off the face. I use this once a week or at times twice. I gently massage my face with tip of my fingers in circular motions and the duration of massaging the scrub is short. This is really effective in dealing with whiteheads and blackheads. This gives instantly smooth, supple, clear and fresh looking skin. Also makes the pores appear smaller and moisturizes the skin. I have combination type and acne prone skin and this does not irritate my skin at all nor does breaks it out. Instead, it gently exfoliates flaky skin. Pleasant fragrance though might bother some people. Will I purchase it again? Yes of course! As I aforementioned I am using this for years and I am its genuine follower. Yes, I do! My sisters use this too and they are happy with this product. I also know a few friends who use this scrub. So, if you are planning to buy this then definitely go ahead and get it for yourself. It comes in various sizes even in sachets (7g), so you can try before buying the full sized version. 120/- (INR) for 100 gram. Enjoyed the review. But we don’t have this in Australia. Hey Kathryn, you can get it online. I am glad you enjoy the review. Thank you! Yeah walnut sheds off the dead skin cells and it has number of skin benefits too. Sure go ahead and try this. Stay tuned. Thank you. 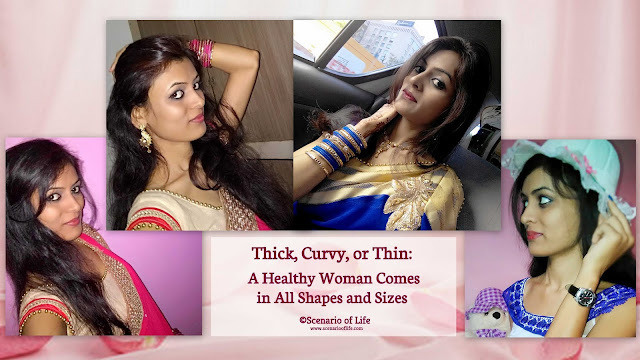 I am glad this post has helped and you enjoyed it. Thank you for dropping by! Great review, looks like a really nice product. I've never used this brand before but I should try it! Thanks for the thorough review! Sure you can try this. Thank you for stopping by! I love a good scrub. It makes my face feel smooth. I bet it smells good with the walnut in it. Yes! It has a pleasant fragrance. A good scrub is always a best choice for smooth skin. Thank you for dropping by. It looks like a great idea but I think it is much better not to use products with chemicals and especially with alcohol, as you mentioned it as well. But I think it's amazing to read an authentic experience, thank you! Though it contains chemicals and alcohol (as already mentioned in Cons), it works well for me. And Yeah one should not use “harsh chemicals and alcohol” contained product. Thank you for the honest comment! Im looking for a good face scrub! I will have to check this out! I love that this doesn't use harsh chemicals or alcohol so that's definitely something I need! Sure you can check it out. It works well for me, my sisters and friends. Hope it works for you too. Thank you! Watch this space for future updates. Sure go ahead and give it a go. I am pretty sure you won’t regret it. Thank you for stopping by! I've made the mistake of using facial scrubs that are too much for my skin. It turned out to be so bad for my skin. Sorry to hear that the scrub that you have used turned out bad for your skin. Therefore, choosing the best products (that suits our skin type) is really very important; although, you can try this scrub. I hope this will work for you as it is gentle and worked well for me. The facial scrubs I have not really used to much before. I would love to try this everyuth naturals Exfoliating Walnut Scrub. The walnut shells in it are something I would not have thought about but I like it better than sand. Thanks for sharing this great review. I am glad you found this useful. Walnut shells are great for exfoliating the skin. Sure, go ahead and try it once. such an old but gold product, right? Have a great time ahead. Indeed it is! Happy to hear that it worked for you too. Great review. Love to give it a try. Sure, give it a try once. Believe me you won’t regret. I love facial scrubs and I will try out this product! Facial scrubs are essential for exfoliating skin. I always recommend to use a good facial scrubs. Yes! You can give it a try. I also use this scrub, it is gentle yet exfoliates well. 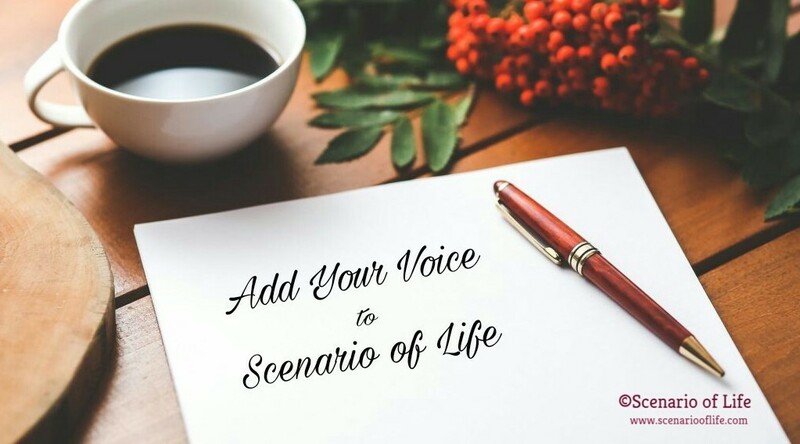 My name is Preeti Gaur and I am the voice behind Scenario of Life. I consider myself a lifelong learner, a career woman and a dreamer. You can find a reflection of me here in my blog. 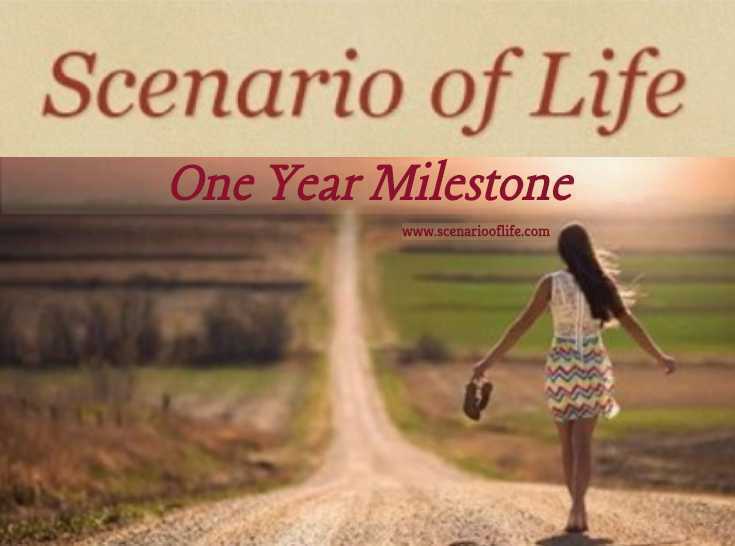 Subscribe to "Scenario of Life"
Scenario of Life’s One-Year Milestone! Activated Charcoal - A Boon!